Gemstone dealers from around the world come to the JOGS Tucson Gem & Jewelry Show to sell their emeralds, sapphires, rubies, and rare tourmaline, each one perfectly cut and ready to be made into a work of art or be displayed as a collector’s piece. The JOGS Show has international dealers from 26 countries, all bringing their best gemstones to the Tucson Gem Show. The JOGS Tucson Gem & Jewelry show is the perfect place to pick up direct source loose diamonds and colored stones. Some of our distinguished JOGS diamond dealers include Petri Gems, TOPS Fine Jewelry, and Classic Jewelry. This year, the 2019 JOGS Tucson Gem & Jewelry Show will have more gemstone dealers than ever before, and all our gemstone dealers did not fit on one page! 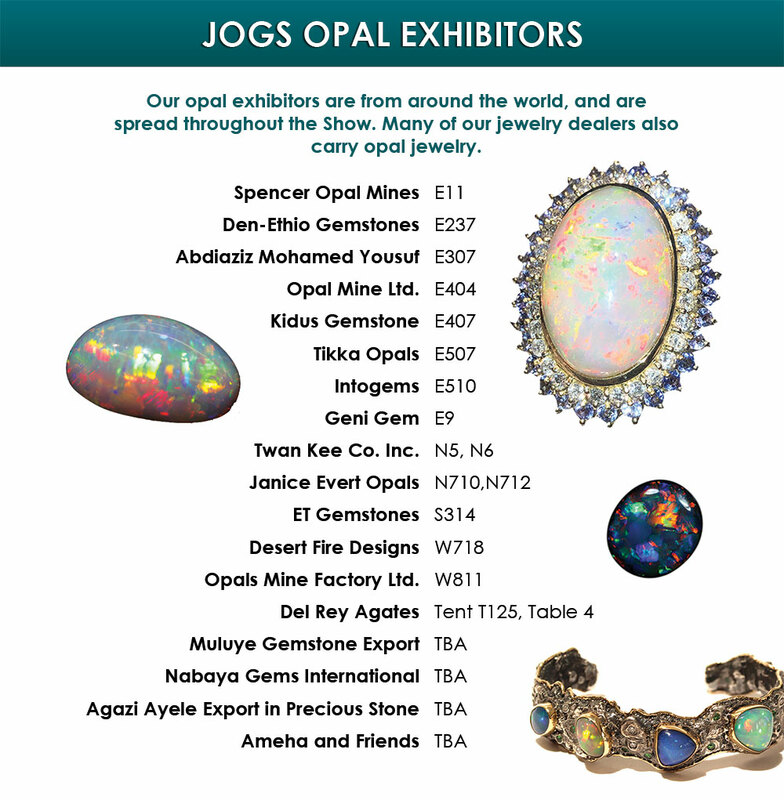 The JOGS Show this year will also have an incredible assortment of opal vendors. Here’s a small sample of who will be at the Show.